I love living out of a suitcase. After visiting over ten countries from 2005 to 2016, I came to the conclusion that I'd never be able to find a place to stay forever. This was until I discovered the Amazing Thailand! Suffice to say that my new year started off with a bang! On January 6, 2016, I was invited by the Tourism Authority of Thailand (TAT) to be on a familiarization (FAM) tour to Bangkok and Hua Hin. By a strange coincidence, the Thailand Tourism Festival 2016 was also under way from January 13 to 18 in Bangkok. Thailand sounded like a perfect getaway for vacation, so I graciously accepted the invitation to be on the tour. My itinerary for six days was planned to a tee. 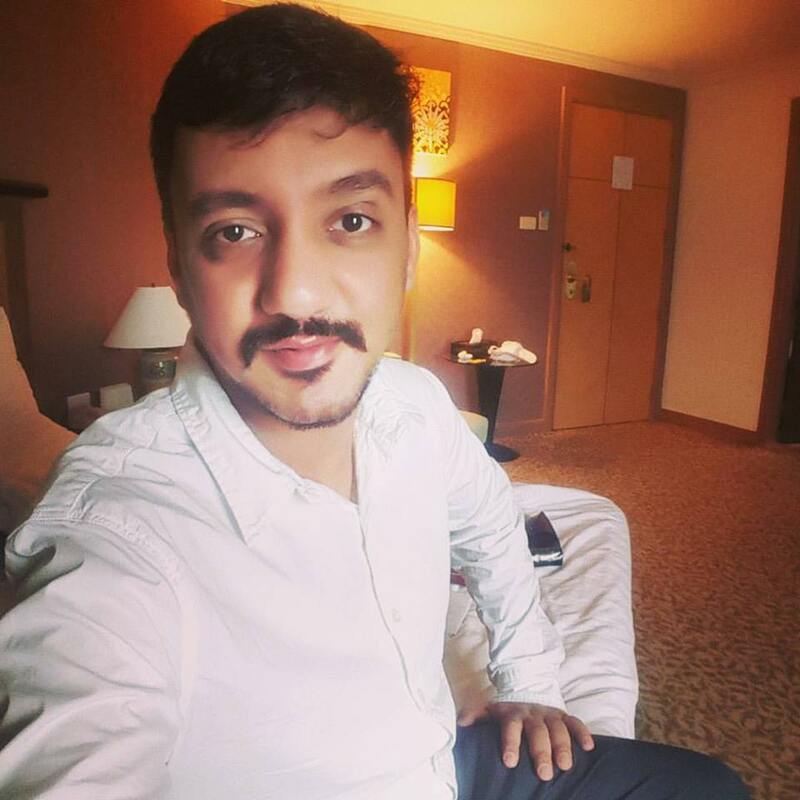 Since my air tickets, hotel stay, and meals were already taken care of by TAT New Delhi, all I needed to do was to soak in the experience of the Land of Smiles. 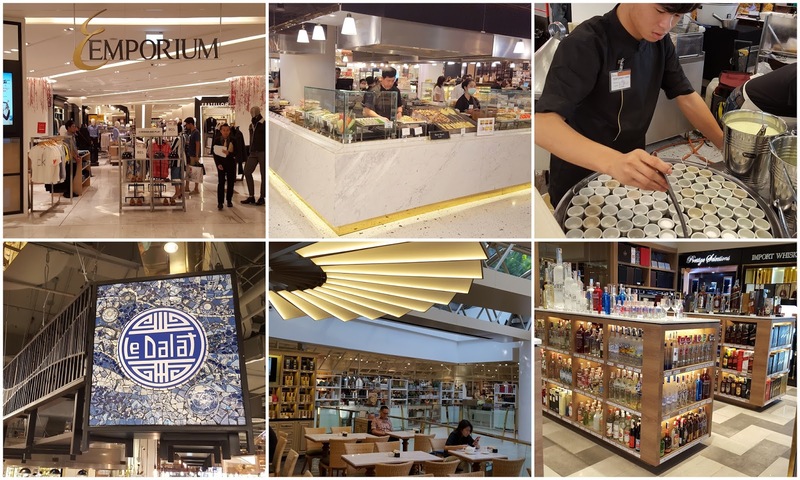 In this blog post, I am going to summarize the Day 1 of my first FAM tour to Thailand. My Thai Airways flight from the New Delhi Indira Gandhi International Airport to the Suvarnabhumi Airport in Bangkok was scheduled to take off in the wee hours of Wednesday. Luckily at the Delhi airport I bumped into Runjuan Tongrut, Director at Tourism Authority of Thailand (TAT). Runjuan later introduced me to Deepak Arora, who also works for TAT. We reached Bangkok at around 6 am. I rushed to obtain the visa on arrival but it took nearly an hour and a half to get the visa stamped at immigration. After collecting my luggage and getting a new SIM, I headed straight to meet another fellow blogger on the FAM, Rajdeep Bhattacharjee, who was flying all the way from Kolkata. Both me and Rajdeep were formally introduced to our local Guide Tour, Pat. 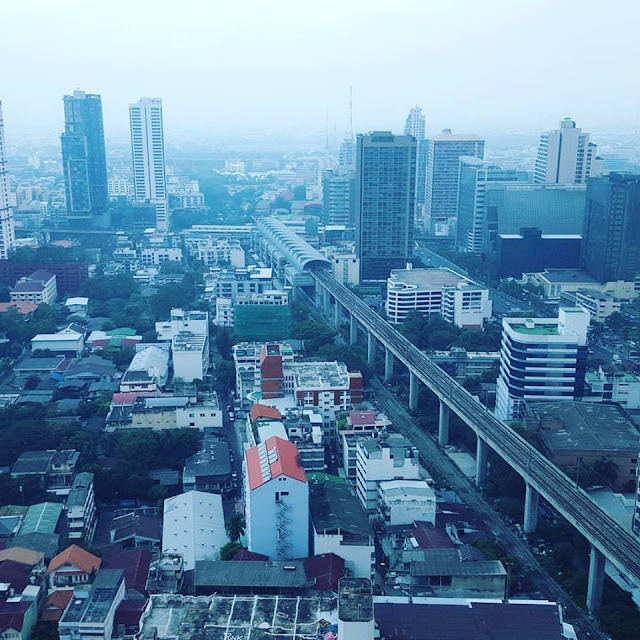 After a bout of introductions followed by refreshments, we boarded a coach for the 85-storey Baiyoke Sky Hotel Bangkok, which is located near the famous Pratunam and Siam Square shopping areas. 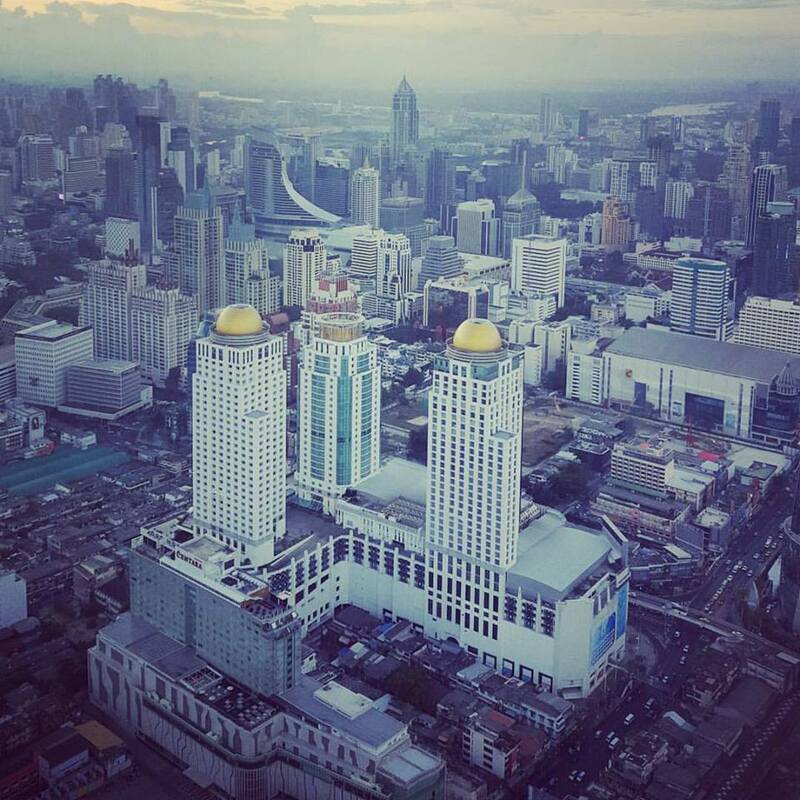 The Baiyoke Sky Hotel is hailed as the tallest hotel in Southeast Asia and the seventh tallest in the world. For the uninitiated, Baiyoke is a luxurious hotel of international repute with 658 rooms and suites, and sizes ranging from 31 square meters to 81 square meters. Each room in the hotel offers a magnificent panoramic view over the Bangkok skyline. If you're staying at the Baiyoke, make sure to see the full view of Bangkok City from the 84th floor. As I checked into my cozy hotel room located at the 33rd floor, I got a glimpse of the eastern amazement and indefinable aura of the graceful city of angels. 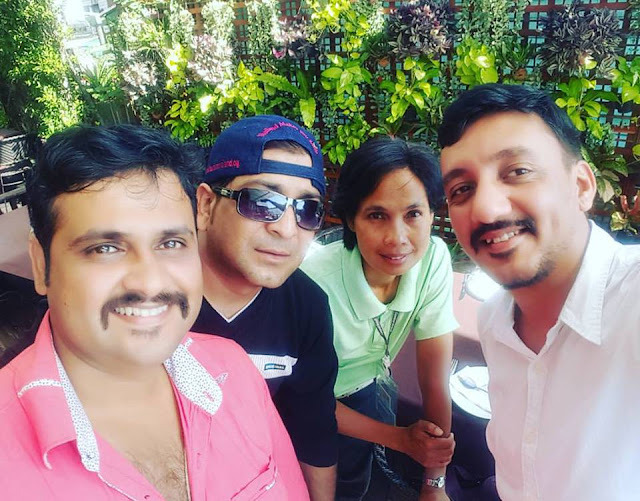 After taking a quick shower, none of us wasted anytime in taking rest and headed towards The Emporium Bangkok where Runjuan treated us for lunch at the Chingcha Chalee. Since I was trying authentic Thai cuisine for the very first time, I naturally had more questions than others about the ingredients and flavors used in the cooking. It was great to spend some time with Runjuan and Pat after lunch. 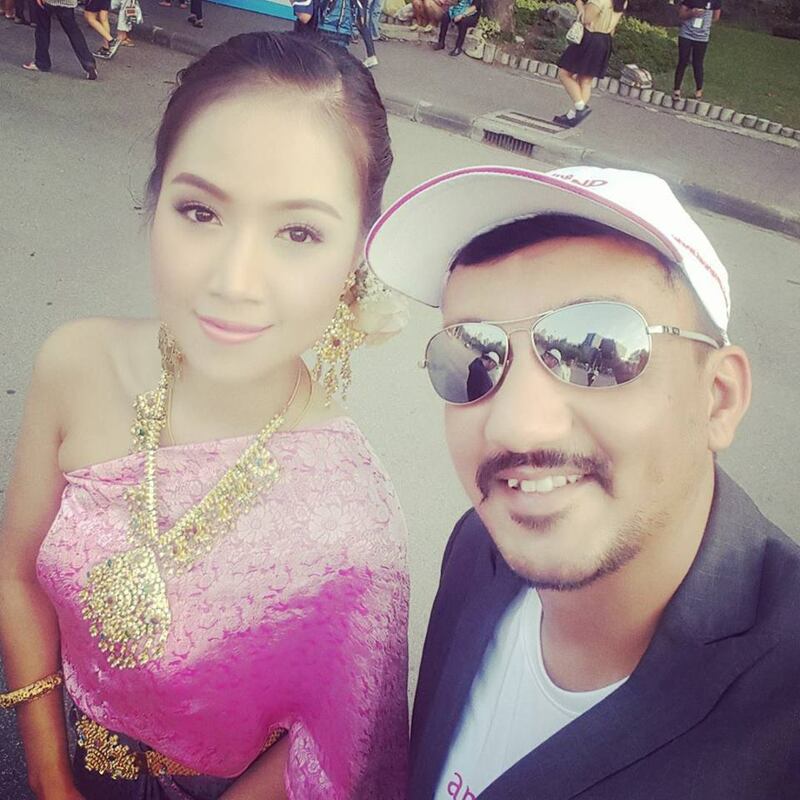 Being Thai nationals, both of them could narrate several anecdotes about Thai people and their unique culture and customs. 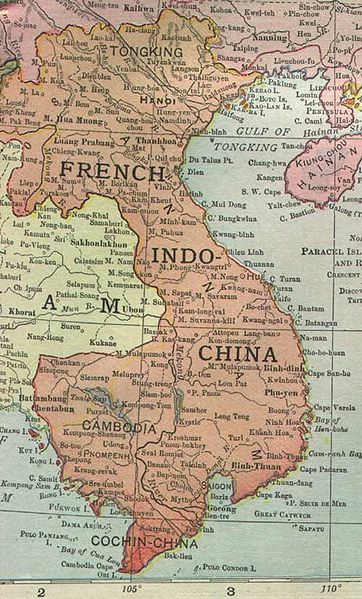 Like me, most of you would not know that Thailand invaded French-Indochina in 1941. This was around the time when the Thai reclaimed Laos. Runjuan also mentioned about the period when Japan invaded Thailand on December 8, 1941, right after the attack on Pearl Harbor. The Japanese army used Thailand as a base to further invade Myanmar (formerly Burma) and Malaya. Even countries like South Africa, New Zealand, and Australia declared war on Thailand during the World War II period. Post World War II, Thailand took part in the Korean War and became a base for the United States Air Force during the Vietnam War (1965–75). It was rather unusual to hear about Kathoeys, a Thai term to refer to a transgender woman or an effeminate gay male in Thailand. Most foreign people refer to them as lady boys. The country has accepted transgender women as a group in their society. Pat told us about a popular Kathoey kick boxer in Thailand by the name of Nong Toom. Did you know that a popular Thai singer had sung the English version of the title song for Dhoom? I didn't. Tata Young is a music icon in Thailand, who is also known as a renowned model, actress, and dancer. She lent her voice for the Bollywood blockbuster in 2004. 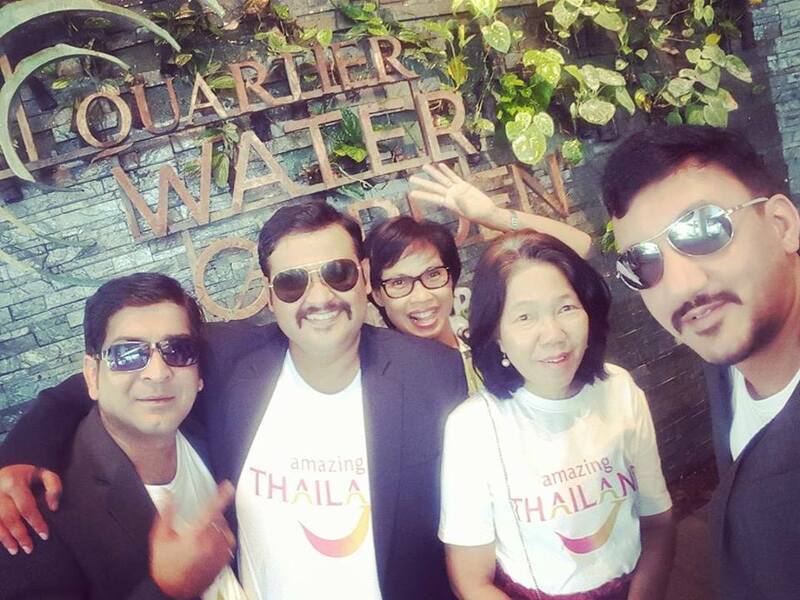 After lunch, we spent some time hanging out in the EmQuartier Shopping Complex in Bangkok, which is home to the Quartier Water Garden. Surrounding an enchanting pond, this 300 square meters indoor, calming green retreat features a variety of wild tropical orchids and lush ferns. Around 5pm, we left for the Lumphini Park, where the opening ceremony of the 36th Thailand Tourism Festival was held amid great fanfare. 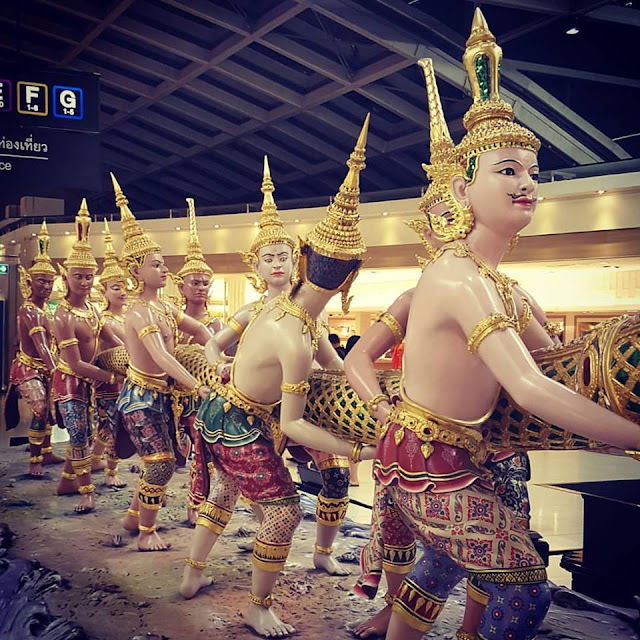 The park was transformed into a mini Thailand with beautiful replicas of important landmarks and cultural heritage sites from five major regions across Thailand. 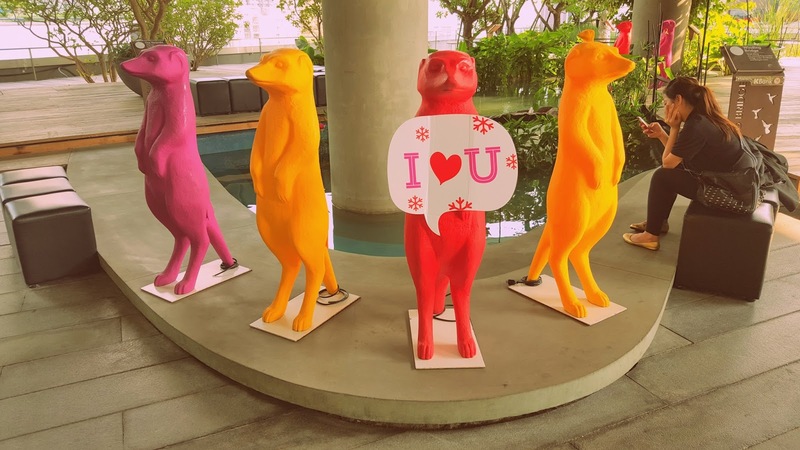 The Thailand Tourism Festival took place from January 13 to 17 this year. 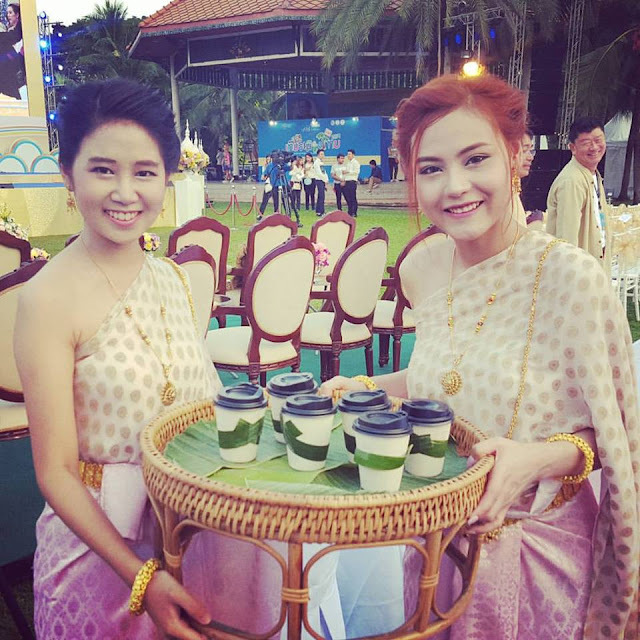 As a first time visitor to the country, I was overjoyed to be a part of the festival that offered a harmonious mix of Thai culture and a sneak peek into the Thai ways of life. The 58 hectare lush green park was divided into four distinctive zones to provide visitors information about the ongoing tourism campaign, annual events and festivals, tourism products from five regions of Thailand, different delicacies from 50 districts of the city, and entertainment activities promoted by celebrities. 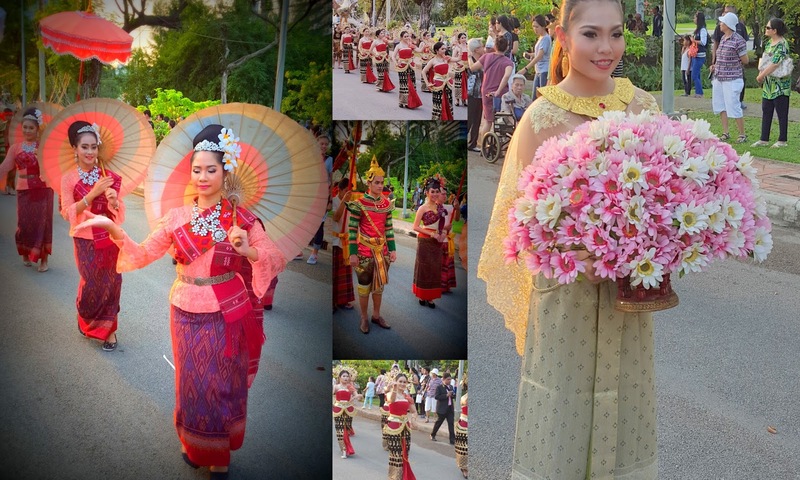 The highlight was a special performance by the name of "Discover Thainess Enjoy Amusement of Siam". Later in the evening, I spent some time talking to Mrs. Kobkarn Wattanavrangkul, Minister of Tourism and Sports (Thailand), who also presented a report on the Thailand Tourism Festival in front of a packed crowd. The opening address was given by Mr. Prajin Juntong who is the Chairperson, Deputy Prime Minister, and Air Chief Marshal. Overall, my first day in Thailand was an affair to remember. I gained tremendous insights about the Thai folk music (Luk Thung), Thai mask dance (Khon), Opera performance (Likay), and historical religious landmarks like Wat Phra That Phanom and Chedi. 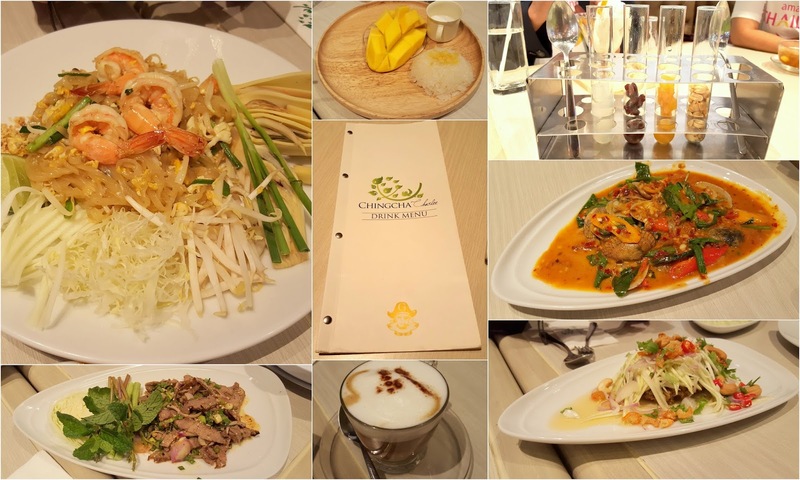 In my upcoming blog post, I am going to write about a visit to the Grand Palace and Wat Pho (Temple of Reclining Buddha), a lunch at the DECK by the river, a canal tour, a visit to premium Indian restaurant called INDUS, and a night visit at Asiatique - the river front mall.